Any decent candy reviewer has a candy stash-the size of said stash is unimportant-but the content is crucial. In my little tupperware box of heaven lie treats from around the world awaiting review. Since I have the coolest friend ever in Germany, a lot of my stuff is from there-and it doesn’t hurt that Germany is a boss when it comes to candy making. 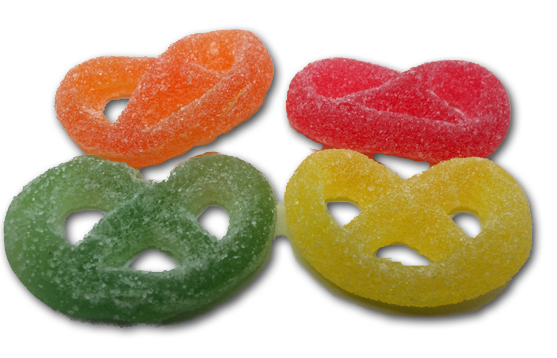 This bag of gummy pretzels was basically my #1 seed for weeks. Sitting there, teasing me, promising me bounties of joy once I opened the bag. Look at them! 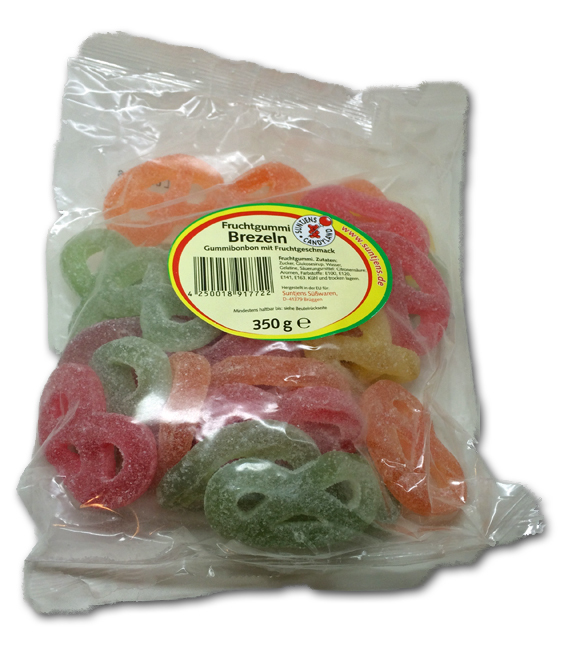 Even through the bag, you can the the sour coating, you can imagine the ultra tough consistency and eye-popping flavors. There’s a lot of promise in there. Finally, I had to bust them out, which is always a sad thing, losing a top contender from the stash. But I shed a tear, poured one out for lost dreams, and ripped the bag open. Dense, chewy, sour, intense? No. How about soft, not sour whatsoever, and almost indiscernible flavors. How does that sound? Man, oh man. I guess I was just assuming that coming from Germany, these would have to be at least good, with the promise of being great. Not true in this instance. And I’m not exaggerating-these just felt like a waste of calories without any payback. Not worth it. There’s a lesson here, kids, and it’s simple. Never, EVER eat pretzels. Got it?